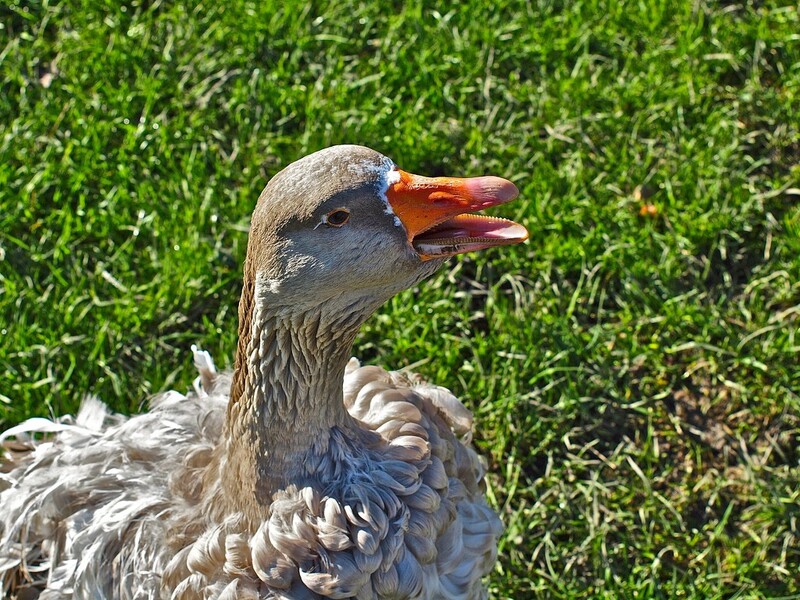 This is the beautiful Sebastopol goose descended from Europe . It’s really curly like that? Never seen one of those. Beautiful shot against the green.